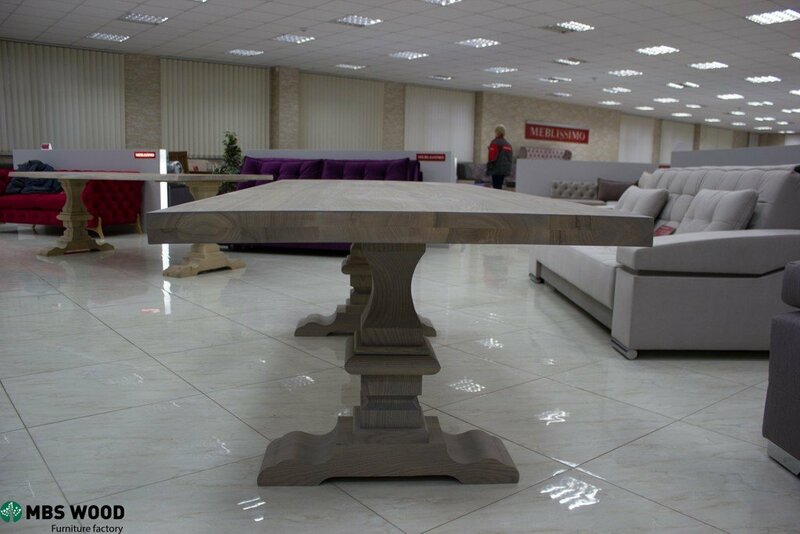 We offer quality dining tables of different sizes for use in the kitchen. 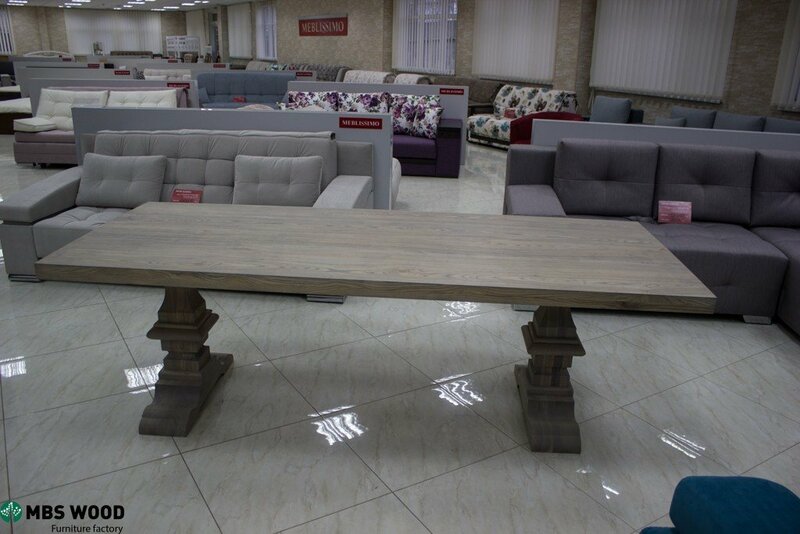 Our factory has been manufacturing wooden furniture for more than 25 years. We have great opportunities and large-scale production. Now we produce tables from natural oak wood. 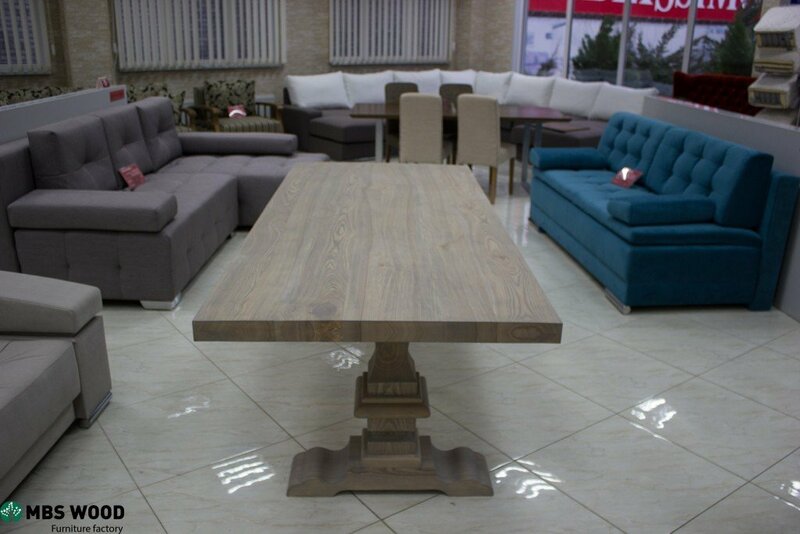 You can buy wholesale dining tables from solid oak. Our customers appreciate the quality of our tables and make permanent orders. 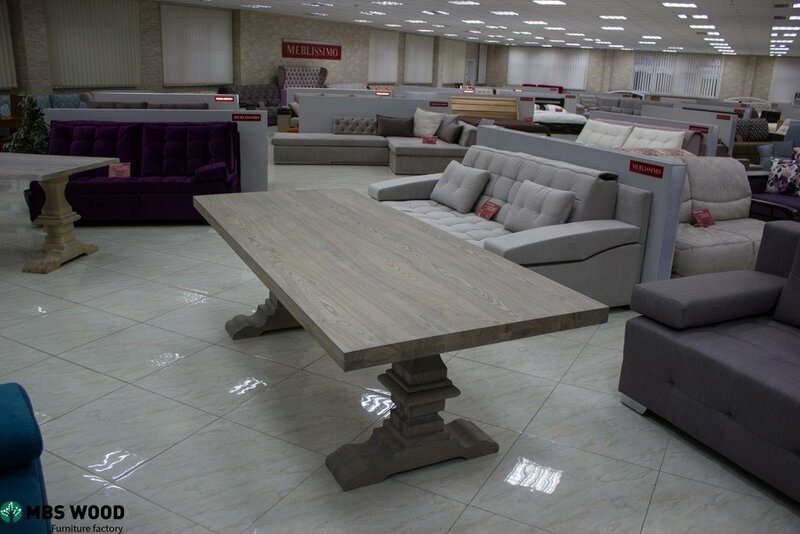 We offer dining tables of standard and non-standard sizes. Width 100 cm. Length 200 cm. / 220 cm. / 240 cm. / 260 cm. / 300 cm. 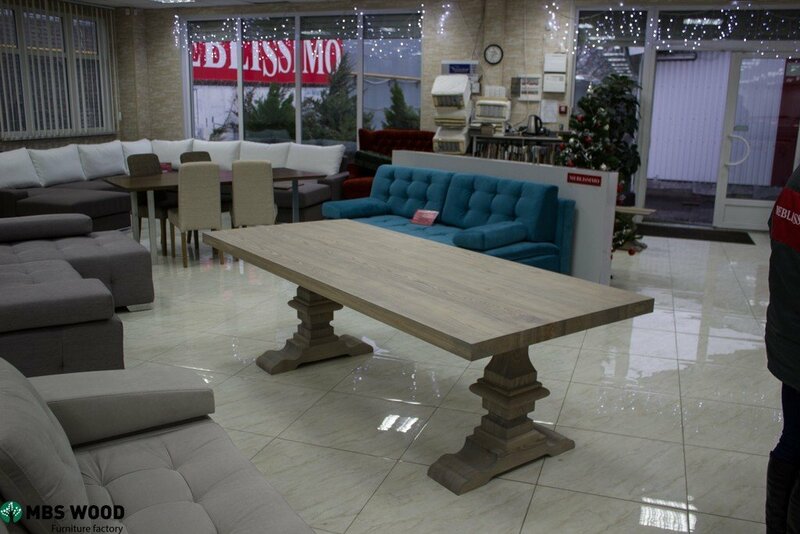 The height of the table is 780 cm. Legs to this table are made of solid oak wood. The table is covered with a special transparent oil, but you can choose other colors of the coating. 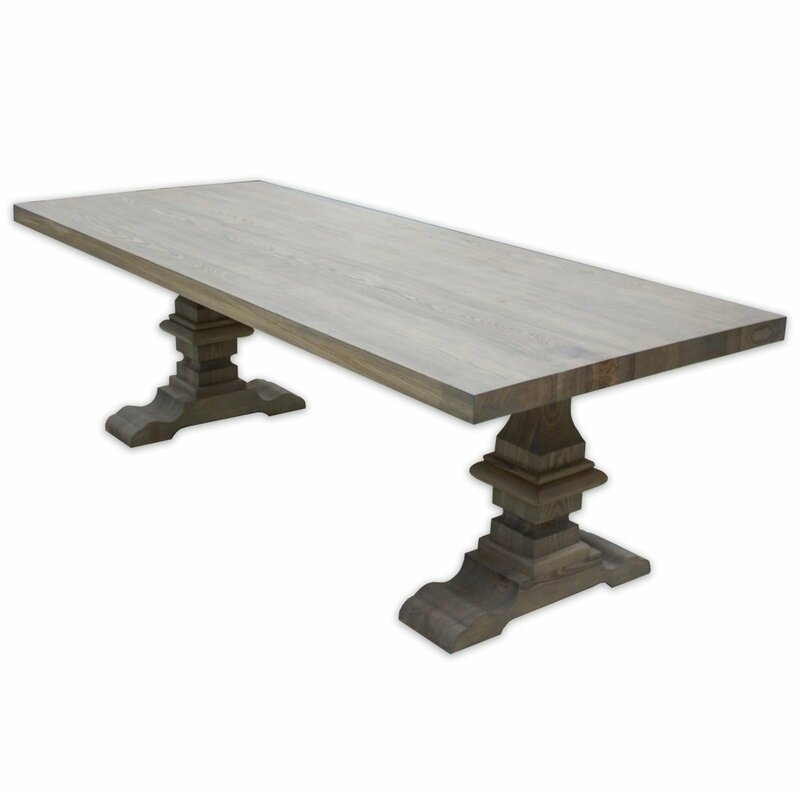 We offer options for coating oak tables: clear oil, gray oil, white oil, brown oil. Each table top passes quality assessment before shipment. We carefully pack each table top in a wooden box, we also pack the table legs in a cardboard box. In the set with each dining table we place the fixing screws and the key for the assembly of the table. All the holes for attaching the legs to the tabletop are universal, which means that the end customer can easily assemble the table himself. 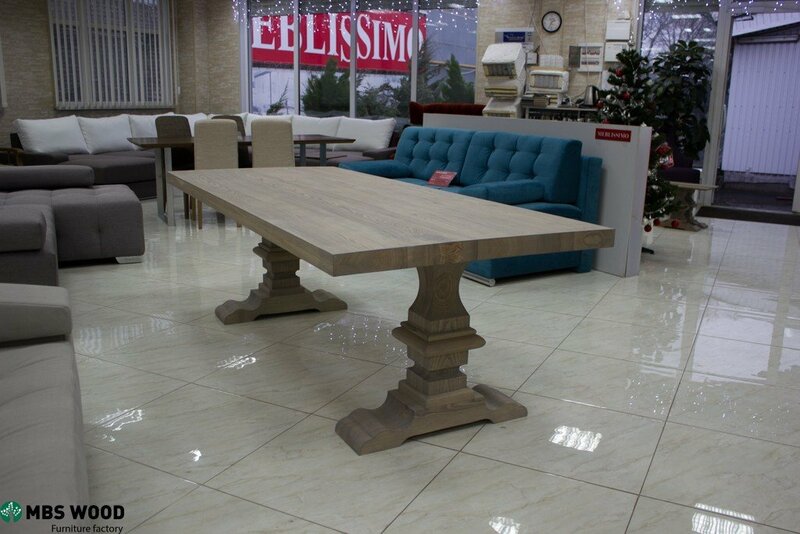 Dining tables made from solid oak wood are popular all over the world – these desks have a beautiful design and are appreciated for their quality and durability. Dining tables made from oak are made from environmentally friendly materials. 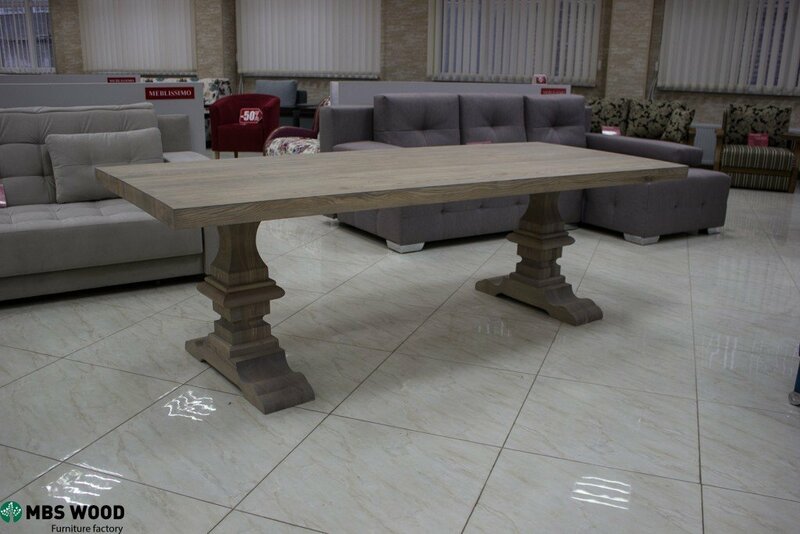 We have all the necessary certificates that confirm the high quality and safety of the wood from which we manufacture the dining tables and legs to the tables. View prices and download the catalog you can on our site. 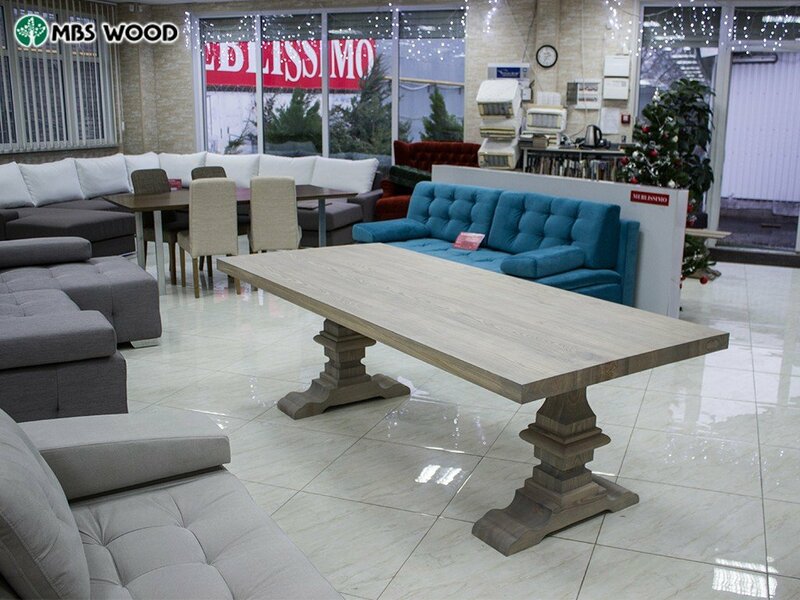 Write to us if you have any questions and you want to order the manufacture of tables from natural wood in our furniture factory. I really liked your wooden tables. I’m sorry that I can not make a small order to the United States of America. I like your prices. I suggest you organize the warehouse of your goods in the USA.